With over 20 years’ experience in managing all types of projects and clients, Acantho is composed of a team of translators, certified translators, interpreters, native teachers, layout specialists and computer engineers. All are professionals trained in the areas of languages and translation. We are structure for the sole purpose of providing you services fully adapted to your needs. That is why we, at Acantho, have project managers who are specialists in the services they are offering. 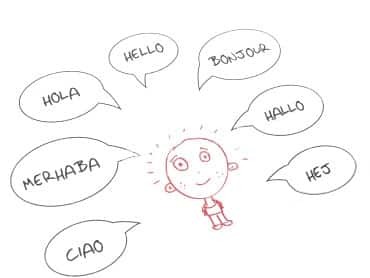 Acantho also collaborates with various universities to recruit talented young people and help them to enter the world of professional language (technical translation, simultaneous interpreting, liaison interpreting, website and software localisation, language courses, project management, etc.). We recruit the best professionals and help them to grow professionally with career plans specifically drawn up for them. We are currently seeking professionals with experience in project management in any of the business areas we participate in as well as full-time staff members in all operational areas and independent professionals specialised in any of the services we offer which help us to be more competitive. If you are interested in working with us, please send us your CV, desired salary and cover letter to the email address: rrhh@acantho.es (sending an email to the indicated address implies you have read and accept the Privacy Terms) or fill in the following collaboration request (you can also join your CV). If this sounds like something you are interested in, we look forward to hearing from you.